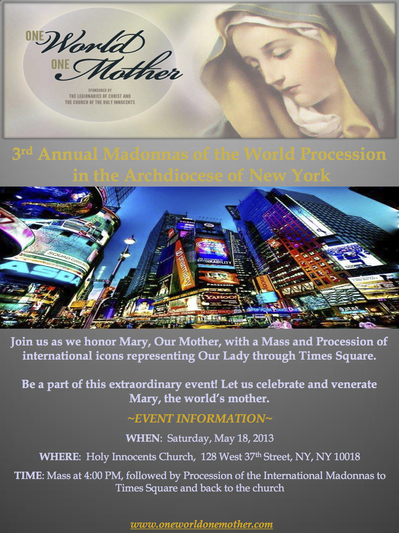 “One World, One Mother” is presenting the 3rd Annual Madonnas of the World Procession in the Archdiocese of New York on Saturday, 18 May 2013. See the advertisement below. Here are photos from yesterday‘s pro-life Mass and rosary procession from NY’s Saint Patrick’s Cathedral. 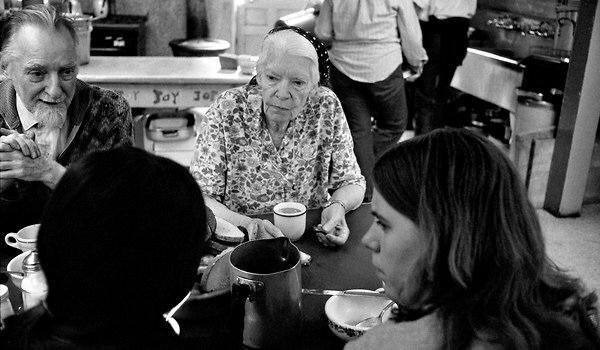 22 January 2013 is the 40th anniversary of Roe v. Wade which legalized abortion in the USA. A Catholic New York article speaks of positive signs of change. The March for Life will happen on Friday, 25 January, Washington, DC. Thanks to George Goss for the pictures. Virginia Corbett, the coordinator of the programming for Natural Family Planning for the Archdiocese of New York is now publishing a monthly newsletter, Naturally. The newsletter will concern itself with fertility, infertility, contraception, etc. To receive a copy of Naturally read the attached newsletter to get Virginia’s email. 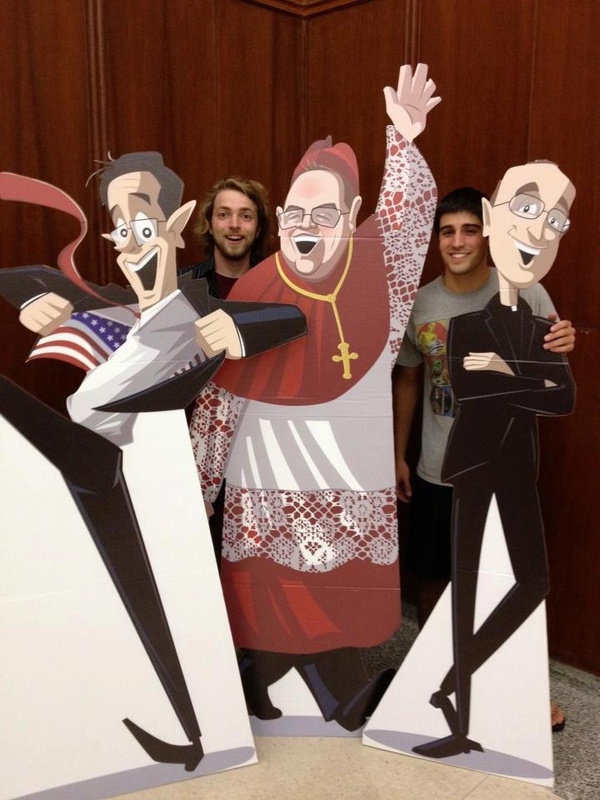 The Family Life and Respect Life Office at the Archdiocese of New York does a terrific job. On Sunday, December 30, 2012, there will be a Saint Gianna Mass at Saint Peter’s Church, Haverstraw, NY at 12:45 pm. The Saint Gianna Mass is connected to the one held in NYC annually on May 16th at the Church of Saint Catherine of Siena (W. 68th Str).